Becoming a Walk-On’s Bistreaux and Bar franchisee is a without a doubt a huge commitment. Our goal is to provide all the information you need to make the best decision possible. Just like it’s important for Walk-On’s to be the right opportunity for you, it is also important that we are sure you are the right fit for our brand and culture. We believe that the success of our brand will be a direct result of our operators. 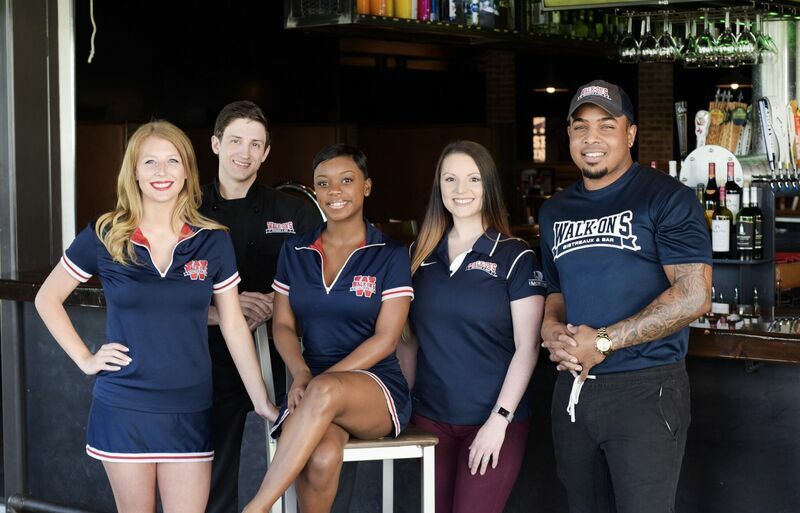 Our selection process begins by considering qualified candidates who share in our excitement for the team, the love of great food and the desire to create the game day experience every day at Walk-On’s. Visit a Walk-On’s location and speak with other franchisees. Have your operating partner complete an On the Job Experience “OJE” where you will spend the day in a Walk-On’s location with our operations team seeing what we do and why we do it. Complete a business plan based on what you have learned about Walk-On’s and submit it to us for review. Attend a Discovery Day at our corporate office in Baton Rouge, Louisiana. Participate in a personal interview with our executive team to make sure that Walk-On’s is the right fit. Our goal is to bring you into our team and support you in every aspect of your operation. 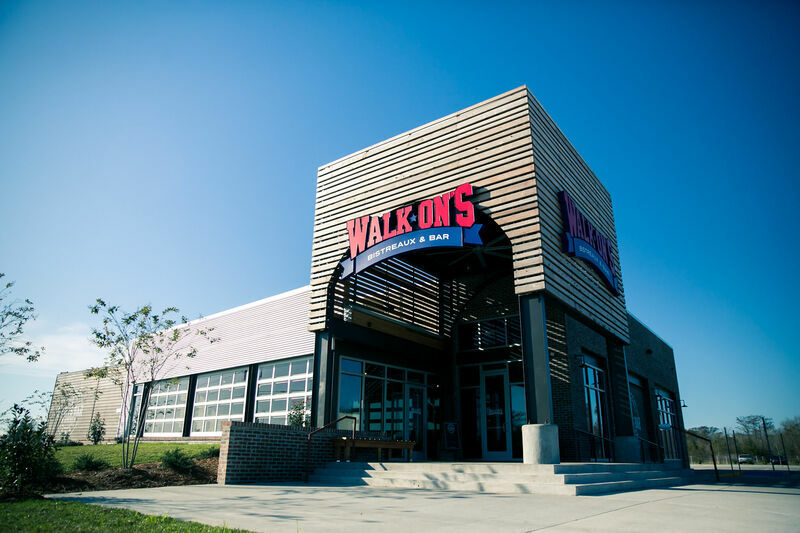 Walk-On's is expanding across the country. Check out where we are headed. As the franchisee journey proceeds we’ll share the design elements, layouts and designs you’ll use to build your Walk-On’s Bistreaux and Bar. Newly constructed locations are built from the ground up and vary significantly from those converted from pre-existing restaurants or other existing spaces. You will need to hire your own architect to finalize your restaurant design and plans. A list of approved suppliers including architects, construction and equipment companies will be provided to you for use in completing your project. Our goal is to have one area developer in each major market to develop Walk-On’s. We will have our national tenant rep team work with you to locate suitable sites for your Walk-On’s location. You will be provided with brand-consistent templates and designs for use in both in-store and outdoor advertising. All marketing materials and ads must be approved by the marketing department prior to use. You will also be given a local store marketing manual and information on how to market the opening of your new store. Up to 17 days of on-site support is available to train your newly hired Walk-On’s team to effectively operate your restaurant. Hiring a great crew is your responsibility, but we will assist you by providing the necessary materials and checklists. Additional on-site training support is available for added fees. Operator training programs are conducted at a designated training location for a period of eight weeks. This training focuses on position and management training in both the kitchen (“heart of the house”) and the front of the house. A minimum of six operators must successfully complete the entire training program. The training cost for your initial six people is included in your franchise fee. Training for additional operator(s) is offered for a $5,000 fee. All expenses associated with attending the training sessions must be covered by you. We believe our success is a direct result of our ability to select top, inspiring and knowledgeable leaders to grow our brand across the country. Franchise Agreement Terms: 10 years, 10 year renewal terms. Are you ready to join a winning team? Complete the form below and connect with our franchise team today. Your information has been sent to our franchising team. We will be in contact with you shortly for more information. The franchise information on this website does not constitute an offer to sell a franchise. The offer of a franchise can only be made through the delivery of a Franchise Disclosure Document. Certain states require that a franchisor register their Franchise Disclosure Document with that state prior to the offer or sale of a franchise. We will not offer or sell franchises in those states until we have registered our Franchise Disclosure Document (or obtained an applicable exemption from registration) and delivered the Franchise Disclosure Document to the prospective franchisee in compliance with applicable law.